Bubbling creeks, lovely alpine meadows, pocket lakes, craggy ridgelines, and a dash of history make this a wonderful day with optional bonus side trips. The trail wanders through a mix of forest and flower-filled meadows. It crosses Dana Fork which may get your feet wet during higher water flow. 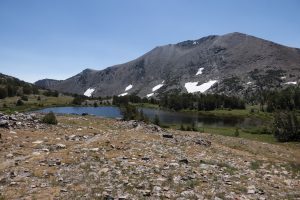 It gently climbs up through an open forest until it comes along Parker Creek and its sublime meadow which you follow up until the junction with the Spillway Lake Trail. Along the way, you pass a dilapidated, old pioneer cabin. Take a left at the junction to head up toward Mono Pass, leaving the creek and the easier grade as you begin climbing more steeply through the forest. The trail comes alongside another meadow with a stream and the grade eases once more as you pass the Parker Pass Trail. Mountain peaks along the Kuna Crest pop up to the south while others begin appearing to the east. The trail comes to a little, unsigned spur trail to the right. Take this short trail which leads to a collection of old mining cabins and collapsed shafts. After exploring the cabins, head to Mono Pass with Summit Lake. Continue on to get a look down the canyon with Upper Sardine Lake before turning around. Another great side trip is up to Parker Pass. 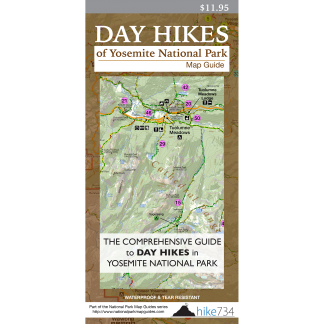 This will add 3.7mi/6km to the trip and is accessed via a signed trail off the Mono Pass Trail. This gradual trail climbs through a wide alpine meadow amongst the peaks, transitioning to a moonscape pass with wonderful views of small, alpine ponds on the eastern side. Another optional side trip heads up to Spillway Lake, which is the largest of the lakes accessed by trail in the area, and adds 3.6mi/5.8km to your day (see Spillway Lake).